Following Sunday’s loss to the Dolphins, Bills defensive end Jerry Hughes was seen on video yelling at official Roy Ellison. The player was restrained by a team employee before being led back to the locker room. ESPN’s Mike Rodak tweets that the veteran will not face a suspension for the incident, although ProFootballTalk.com’s Charean Williams says Hughes could still be fined. Meanwhile, NFL.com’s Ian Rapoport tweets that Ellison has been placed on administrative leave while the NFL continues to review the matter. Hughes accused the umpire of calling him a vulgar name, and Rapoport notes that Ellison was suspended back in 2013 following an incident with Trent Williams. The 30-year-old Hughes is having another productive season with Buffalo, compiling 31 tackles, six sacks, and three forced fumbles through 12 games. Bruce Arians is apparently very focused on the Browns head coaching job. According to ESPN’s Josh Weinfuss (via Twitter), the 66-year-old has “probably very little” interest in the Packers gig. The two-time AP NFL Coach of the Year winner previously said he would only consider becoming a head coach again if he were hired by Cleveland, where he was an offensive coordinator between 2001 and 2003. After serving as the Cardinals head coach for five seasons, Arians retired at the end of the 2017 campaign. During an appearance on WFAN660, Giants head coach Pat Shurmur was non-committal when asked about Eli Manning‘s status heading into next season. “Those are offseason discussions,” he said (via SNY’s Ralph Vacchiano on Twitter). “I’m really pleased with how he’s played of late. … I can’t answer that. I’m fond of everything Eli brings to the table.” The 37-year-old Manning has been having a solid season, completing a career-high 67.9-percent of his passes for 3,263 yards, 15 touchdowns, and eight interceptions. The Vikings will audition Calgary Stampeders quarterback Bo Levi Mitchell this week, reports Ben Goessling of the Star Tribune (via Twitter). The 28-year-old has won a pair of Grey Cup MVPs and two CFL Most Outstanding Player awards during his seven seasons in the league. Mitchell also won the Walter Payton Award during his time at Eastern Washington. The Vikings are currently rostering Trevor Siemian and Kyle Sloter behind Kirk Cousins. Former Seahawks and Patriots cornerback Brandon Browner was sentenced to eight years in prison after he pleaded no contest to attempted murder, reports TMZ Sports. The 34-year-old was accused of breaking into his ex-girlfriend’s apartment, where he then “allegedly chased her, dragged her and then smothered her in a carpet.” Browner also pleaded no contest to two counts of child endangerment, while the remaining chargers (including robbery, burglary, and false imprisonment) were dropped. NFL Players Association president Eric Winston is hoping to avoid a work stoppage in 2021. However, the free agent offensive tackle understands that the players need to be prepared for anything. “We’ve got to be able to stand our ground and to educate guys and communicate to guys [in advance],” Winston said. Mary Kay Cabot of Cleveland.com believes the Browns are in prime position to land a cornerback during tomorrow’s supplemental draft. While all of the NFL teams were present for cornerback Sam Beal‘s Pro Day at Western Michigan, Cleveland general manager John Dorsey was one of the few top executives to attend the workout. Furthermore, the team has recently put an emphasis on acquiring defensive backs. They added T.J. Carrie, E.J. Gaines and Terrance Mitchell via free agency, they traded for Damarious Randall, and they drafted rookie Denzel Ward with the fourth-overall pick. While the team does have plenty of depth, Cabot believes Dorsey won’t hesitate to take Beal. Meanwhile, one pundit believes the Browns could end up using a fourth-rounder on the cornerback. “Cleveland can bid a fourth because they’re a team that’s kind of up and coming,” NFLdraftscout.com’s Rob Rang told Cabot. “They’ve already invested a lot in defensive backs, but you can never have too many good corners. I just don’t know that this is someone you can count on to produce immediately. With all of the veterans they brought in, and with them drafting Denzel Ward, I don’t know that Cleveland has to take him.” If this ends up being the case, the Browns would have to sacrifice a fourth-rounder during next year’s draft. 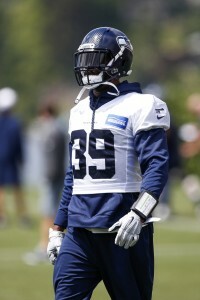 The Los Angeles County District Attorney’s Office has filed four charges against former NFL cornerback Brandon Browner, including attempted murder, the La Verne Police Department announced earlier today (via Josh Alper of ProFootballTalk.com). The 33-year-old is also facing felony charges of robbery, burglary and false imprisonment and two misdemeanor charges of child endangerment. Browner was arrested on Sunday after allegedly breaking into the home of a previous girlfriend. As Alper points out, a first-degree attempted murder charge in California carries a maximum sentence of life in prison. Browner had stints with the Seahawks, Patriots, Broncos, and Saints during his career. With the news of Jameis Winston‘s impending suspension from the NFL, lots has been written about Winston’s future with the Buccaneers. One potentially unexplored angle is how Winston’s fate may tie into the fate of Bucs GM Jason Licht and the team’s head coach Dirk Koetter, according to Mike Florio of ProFootballTalk.com. Florio speculates that the team may be more likely to move on from Winston if they decide to fire Licht and/or Koetter at the end of the 2018 season. Koetter reportedly came very close to being fired at the end of the 2017 season, but was ultimately given another year by ownership. Florio thinks it would be easier for the franchise to move on from Winston if they cleaned house completely, and had a front office with no ties to Winston make the decision to release him. Winston is set to make $20.9MM under his fifth-year option in 2019. It’s guaranteed only for injury, meaning the Bucs could release him after this season and not have to pay him anything, assuming he stays healthy. Whatever ends up happening, it looks like it could be a tumultuous year in Tampa Bay. Undrafted rookie tight end Deon Yelder has a “good shot” at making the Saints, according to Nick Underhill of the New Orleans Advocate. Due to the Saints’ lack of depth at tight end, Underhill thinks the position “appears primed for a UDFA to rise and claim a job.” The Saints recently released Coby Fleener, leaving them a bit thin at the position. Former Pro Bowl cornerback Brandon Browner pled no contest to domestic battery charges, according to Nathan Fenno of the Los Angeles Times. Browner, who won back to back Super Bowls with the Patriots and Seahawks, spent 2017 out of the league after a short sting with Seattle in 2016. In case you missed it, despite Winston’s expected absence, the Bucs don’t have any plans to bring in a veteran quarterback. More is coming out about Colin Kaepernick‘s collusion lawsuit against the NFL. Kaepernick’s lawyer, Mark Geragos, recently shed some light about some of the points they will attempt to prove that collusion exists between the NFL owners in the latest episode of his Reasonable Doubt podcast. Geragos pointed out the need for a “smoking gun” that proves there is coordinated effort from owners from blocking his client from signing with a franchise. In response to a question about a potential email regarding the collusion from Roger Goodell, Geragos stated “there is very good reason to believe that that exists,” the lawyer said (transcription via Pro Football Talk). “The interesting thing will be when the discovery comes, and I expect the discovery to be very quickly.” Even with the confidence coming from the lawyer, the overall sentiment around the case is that collusion will be a difficult charge to prove, but it looks like Kaepernick and his team are serious about their lawsuit and will look far and wide to see if any hard evidence exists. New Buccaneers safety T.J. Ward is apparently frustrated with his part-time defensive role, according to Rick Stroud of the Tampa Bay Times. The reporter passes along that the veteran defensive back is at his “wits end” in regards to his role on the team. Ward was not on the field during Tampa Bay’s fourth quarter collapse at the hands of the Bills. The 30 year-old expected to bring more physicality when he signed a one-year, $4MM deal with the team after he was cut by the Broncos in the preseason. Ward only has 11 total tackles on the year and looks to be on his way out of the rotation after what transpired today. Saints linebacker Hau’oli Kikaha could be on the trading block after his deactivation from today’s contest vs. the Packers, Larry Holder of NOLA.com speculates (Twitter link). It’s a disappointing turn of events for the former 2015 third round pick, who was benched in favor of defensive lineman Al-Quadin Muhammad. However, despite Kikaha’s struggles, the Saints defense has turned the corner in recent weeks, getting another takeaway today, after notching five turnovers last Sunday. In other Saints news, we have now learned that the team’s former veteran cornerback Brandon Browner was arrested for cocaine possession last May, reports Amos Moralle III of NOLA.com. Browner last appeared for the team in 2015, but was mostly ineffective with the team deciding to move on from the defensive back that following offseason. Free agent quarterback Colin Kaepernick is working out five days a week and is back to his 2013 weight, 230 pounds, as he awaits a potential NFL opportunity, Mike Florio of Pro Football Talk reports. Thanks partially (perhaps entirely) to his social activism, Kaepernick hasn’t garnered a single offer since he and the 49ers parted ways in March. While the 29-year-old would like to resume his career, he’s not saying it publicly because he worries that doing so would lead to further claims that he’s a distraction, Florio suggests. After insisting throughout the offseason that Tom Savage would be their starting quarterback in 2017, the Texans bailed on him just one half into a 29-7 Week 1 loss to Jacksonville in which their offensive line imploded. The Texans have since turned the reins over to first-round rookie Deshaun Watson, a decision Savage’s agent, Neil Schwartz, spoke with Florio about on Wednesday. As you’d expect, Schwartz isn’t pleased with the move. “I watched all 31 plays, because that was the extent of what Tom saw in the first half,” Schwartz said. “And I can’t figure out why he’s benching Tom. I went through every single play and I even went one step further. I asked two different NFL personnel people (or) coaches on two separate teams to evaluate and break down the film to see if I was missing something. He went 7 for 13 … 12 of the 13 balls touched the receiver’s hands. The only ball that didn’t was the strip-sack fumble that they called incomplete (upon replay). Seven were completions, five were drops” (all of Schwartz’s comments are available here via the Houston Chronicle’s Greg Rajan). Schwartz does have the backing of Pro Football Focus, which ranked Savage’s season-opening performance 15th among 31 signal-callers. Watson came in last. Having not played in the NFL since his dreadful 2015 showing in New Orleans, free agent cornerback Brandon Browner is obviously facing an uphill battle to return to the league. The odds of the ex-Seahawks star making a comeback look even worse now, as Browner was arrested in Los Angeles on Monday on felony charges of making criminal threats to a woman, TMZ reports. The two-time Super Bowl champion hasn’t drawn any known interest since the Seahawks released him in August 2016 (even after playing in the the Spring League this year), and that probably isn’t going to change. The Cardinals are hoping to get running back David Johnson “back by Thanksgiving or Christmas,” coach Bruce Arians told SiriusXM. The initial word on Johnson’s wrist injury has been that he could be out for two to three months. Arians’ timetable seems to jibe with that. The Spring League kicks off in April and it will feature some notable names looking to resurrect their football careers. Defensive end Greg Hardy, tight end Kellen Winslow Jr., cornerback Brandon Browner, and running back Ben Tate are among the players who have been confirmed as participants, according to a press release. Winslow has not played in an NFL game since the 2013 season and we haven’t heard much from him since he worked out for the Packers last August. Tate, a former second-round pick, showed lots of promise in Houston but could not capitalize on a starting opportunity with the Browns in 2014. Hardy and Browner first committed to the league in early March. The Spring League consists of four teams comprised of veteran free agents. The league will conduct practices and play six games from April 5 through April 26. Players who are currently on NFL rosters will not be eligible to participate. The league has secured five quarterbacks thus far, including Chiefs 2011 fifth-round pick Ricky Stanzi and NFL practice squad journeyman McLeod Bethel-Thompson. At wide receiver, there’s former Ram Brandon Gibson, Jets 2014 fourth-round pick Jalen Saunders, and one-time Bills WR2 David Nelson. Former Jets defensive back Ellis Lankster and Texans 2013 third-round defensive tackle Sam Montgomery will also be suiting up for The Spring League next month. The full list of players can be found below. In addition to those listed here, Pro Football Rumors has learned that another 30 players are expected to join prior to the start of training camp. 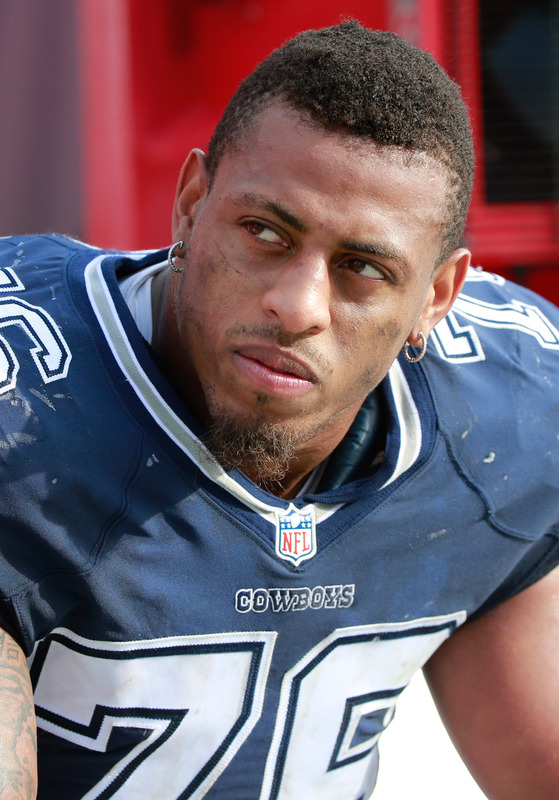 Former NFL stars Greg Hardy and Brandon Browner have committed to play in the Spring League, according to its CEO, Brian Woods (via Kevin Seifert of ESPN.com). The league, whose six-game season will take place from April 15-26, isn’t affiliated with the NFL. However, NFL scouts will be on hand to watch, so it could be a way for Hardy, Browner and other ex-pros to showcase their skills and perhaps return to football’s highest level. Once a top-caliber defensive end, Hardy’s stock began plummeting when he was found guilty in 2014 of assaulting his ex-girlfriend, though her decision not to testify against him led to the dropping of charges. Then a member of the Panthers, Hardy sat out all but one game that season after commissioner Roger Goodell placed him on the league’s exempt list. 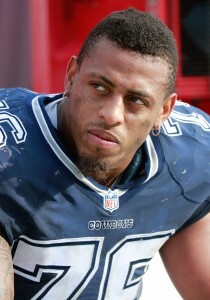 Hardy joined the Cowboys as a free agent in 2015, but he served a four-game suspension to begin the year and was an off-field headache and public relations nightmare during his 12-game Dallas stint. Nobody signed Hardy last year as a result, and he was indicted on a felony count of cocaine possession in November. He then attempted to become a mixed martial artist last fall, but it didn’t take. Despite his myriad off-field issues, Hardy is certainly talented enough to play in the NFL, evidenced by his 40 sacks in 75 games. Like Hardy, Browner has a past suspension on his resume (for substance abuse) and didn’t play at all in 2016. The defensive back did land a contract last offseason, but the Seahawks ultimately cut him in late August after his effort to move from cornerback to safety didn’t pan out. Now 32, Browner, was a high-level defender in Seattle and New England from 2011-14, when he combined to start in all 45 appearances, intercept 11 passes and win two Super Bowls. However, he declined sharply as a Saint in 2015. While Browner started all 16 of the Saints’ games that season after inking a three-year, $15MM contract in free agency, he rated dead last in performance among Pro Football Focus’ 113 qualified corners and set the league’s penalty record. New Orleans subsequently cut Browner and he hasn’t played a meaningful snap since. The Seahawks brought their reunion with Brandon Browner to a close this week, but it’s possible that the two sides could get back together in the future. Browner could return to the team later on this year, coach Pete Carroll told reporters, including Bob Condotta of The Seattle Times (on Twitter). Carroll explained that the team simply “ran out of time” converting Browner to safety and that others just beat him out. Others, like Kelcie McCray and Steven Terrell, pushed themselves ahead of Browner on the depth chart, leading to the Legion Of Boom OG’s release on Monday. Of course, Carroll & Co. have a soft spot for Browner who broke out as a cornerback for Seattle in 2011, so a mid-season deal cannot be ruled out. However, one has to wonder how much Browner even has left in the tank if he was not good enough to make the cut down to 75. The Seahawks are cutting cornerback Brandon Browner, as Ian Rapoport of NFL.com tweets. This offseason, Browner returned back to where he had his best success as a pro. Unfortunately, he could not regain his old form. During his initial three-year run with the Seahawks, Browner started 36 games and winning a Super Bowl title during that time. In between his two stints in Seattle, Browner won a ring with the Patriots before inking a three-year, $15MM contract with the Saints and becoming one of the team’s starting corners. However, he disappointed in his only season in New Orleans, racking up penalties and struggling in coverage.Pro Football Focus rated him dead last in the league among 113 qualified cornerbacks. In March, the Saints cut their losses and released him. The Los Angeles County District Attorney’s office recently declined to move forward with assault charges against Browner stemming from an incident earlier this summer, so he will not be encumbered by legal issues as he seeks his next job. Seahawks cornerback Brandon Browner will not face assault charges stemming from allegations that he for assaulted his child’s grandfather earlier this summer, according to TMZ Sports. In July, he was said to have gotten into an altercation with his child’s grandfather. However, the Los Angeles County District Attorney’s office has declined to move forward with charges. 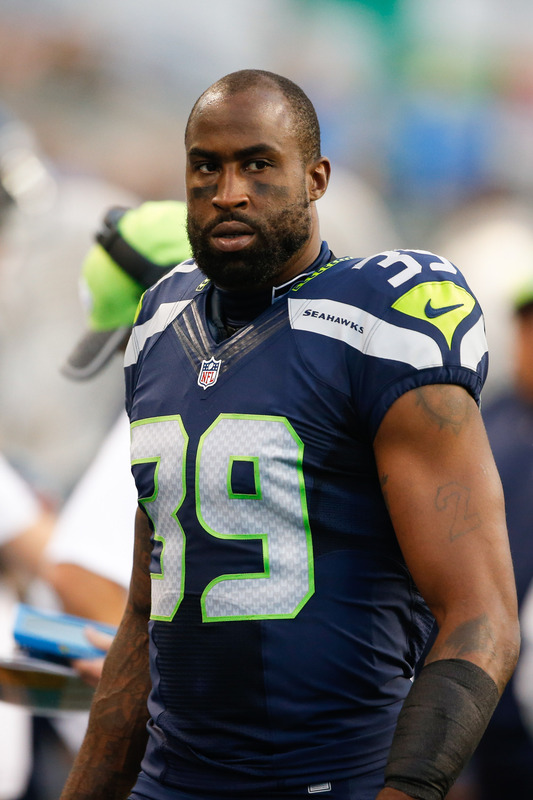 Browner, who played for Seattle from 2011-13, returned to the Seahawks this offseason on a one-year deal. 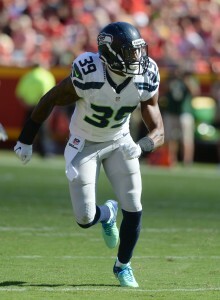 During his initial three-year run with the Seahawks, Browner started 36 games and winning a Super Bowl title during that time. In between his two stints in Seattle, Browner won a ring with the Patriots before inking a three-year, $15MM contract with the Saints and becoming one of the team’s starting corners. However, he disappointed in his only season in New Orleans, racking up penalties and struggling in coverage. Pro Football Focus rated him dead last in the league among 113 qualified cornerbacks. In March, the Saints cut their losses and released him. Now 32 years old, Browner is back where he had his best success as a pro, reuniting with his Legion of Boom compatriots Richard Sherman, Earl Thomas, and Kam Chancellor. Had Browner’s case moved forward, his future in Seattle would have been in jeopardy.